Total announced Tuesday it has started producing from Kaombo Sul, the second floating production, storage and offloading (FPSO) unit of the Kaombo project, located on Block 32, 260 kilometers off the coast of Angola's capital Luanda, in water depths ranging from 1,400 to 2,000 meters. 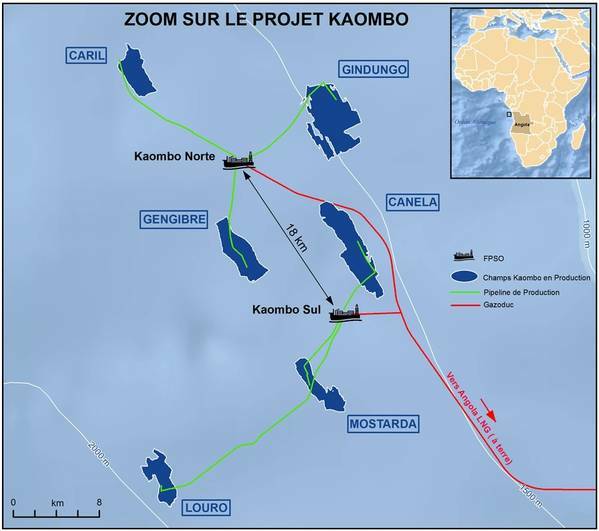 Kaombo Sul, which has started producing eight months after sister ship Kaombo Norte came on stream, will add 115,000 barrels of oil per day (bopd) and bring the overall production capacity to 230,000 bopd, equivalent to 15% of the country’s production, the French supermajor said. 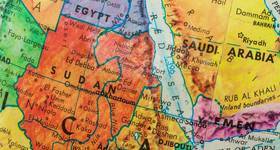 The associated gas from Kaombo Sul will be exported to the Angola LNG (liquefied natural gas) plant. “This achievement demonstrates once again Total’s commitment to Angola, as the group develops short cycle projects on Block 17 in parallel and prepares to drill an exploration well on Block 48,” Breuillac added. The full Kaombo development consists of six fields spread over an area of 800 square kilometers. Gengibre, Gindungo and Caril were connected to the Kaombo Norte FPSO, while the three fields, Mostarda, Canela and Louro, have been connected to Kaombo Sul. The project comprises a large subsea system including 59 wells (with over 60% of them already drilled), and the two FPSO units which were converted from very large crude carriers (VLCC). Total is Angola's leading oil operator, producing an average of 211,000 bopd in 2018 from Blocks 0, 14, 14K, 17, and 32, as well as Angola LNG. In addition to the Block 32, which started up production in July 2018 with Kaombo Norte, Total operates Block 17 (with a 40% interest) where investment decisions were taken in 2018 to launch three new satellite projects: Zinia 2, Clov 2 and Dalia 3. Total is a partner in Blocks 0 (10%), 14 (20%), 14K (36.75%) and 16/06 (65%), as well as in Angola LNG (13.6%), and in different exploration licenses. In 2018, the group signed a risk service agreement with Sonangol for the deepwater Block 48 exploration license, which Total will operate. Last year, Total and Sonangol also created a joint venture to develop a network of service stations in Angola, including petroleum product logistics and supply.